The weather seems to have remembered it’s nearly winter here in Pittsburgh this week. We had a measurable snowfall, 1-3 inches, and the temperature plummeted to 8 degrees Fahrenheit; that’s all it took to shake us from our illusion of a mild winter. The American Automobile Association (AAA) forecasts 93.6 million of us will hit the roads this holiday season. 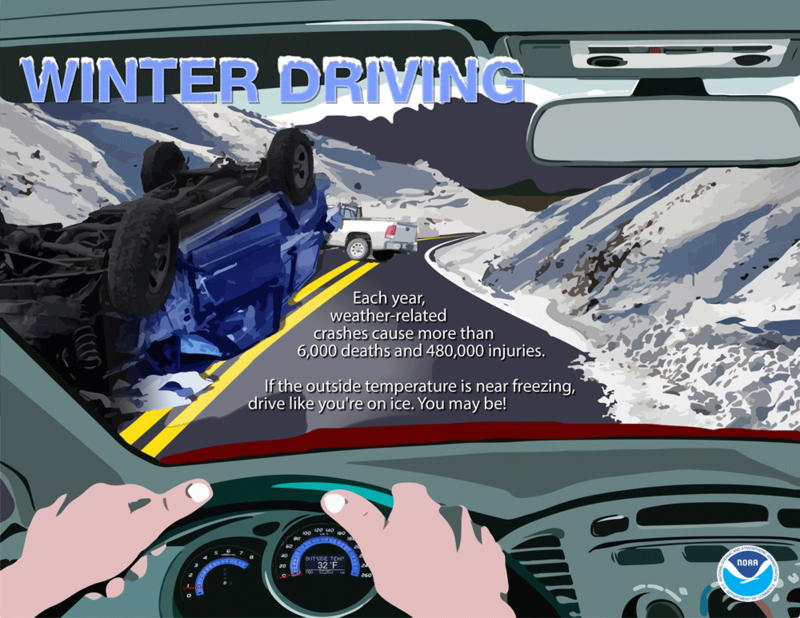 We need to keep in mind the danger of winter driving doesn’t just happen during the holidays, it happens all season. We decided it was a good idea to write a little reminder to our readers of some things to keep in mind when traveling this season. The National Oceanic and Atmospheric Administration (NOAA) says 480,000 injuries and 6,000 deaths occur each year due to weather-related vehicle crashes. The crashes happen and I’ve seen them up close during my 15 years as a photojournalist. The most common cause is ice on the road and hitting the ice at speed and losing control; four-wheel drive doesn’t help much on ice. You need to travel slow, even if you have four-wheel drive, if you want to maintain control. You not only endanger yourself, but also others if you go flying down a road that may be icy. I also recommend that you clean your car off. I know it’s a pain and you don’t want to get covered in snow cleaning your car, but your visibility and the visibility of others is affected if you go cruising down the road like a comet (dirty snowball) trailing ice and snow behind you. You can also get a hefty ticket if you’re caught driving down the road like that. We see weather reports every day and a lot of times the info goes in one ear and out the other. 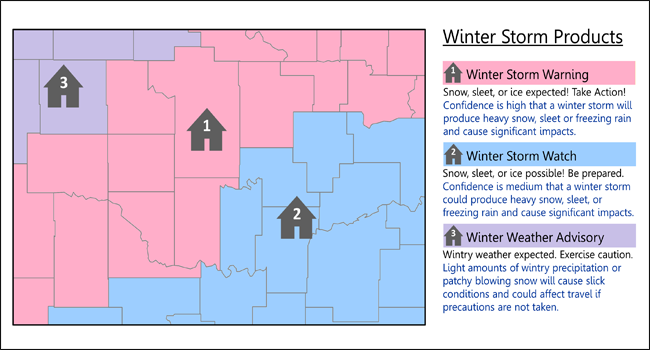 We don’t even pay attention long enough to understand what they mean when they say warning, watch or advisory or are distracted by the flashy graphics and “breaking news” banners floating across the screen as they boast “team coverage” starting hours before the first flake falls. The meteorologist, though they may be hyping a storm or weather, never arbitrarily call a watch, warning, or advisory because a ratings-hungry producer tells them to. The National Weather Service is responsible for declaring those advisories, so pay attention when you hear those words. You obviously should stay home at if all possible when a winter storm is passing through. I love the idea of just sitting home in the warmth of our apartment as the world gets dumped on by mother nature. We know that sometimes you don’t have that choice. 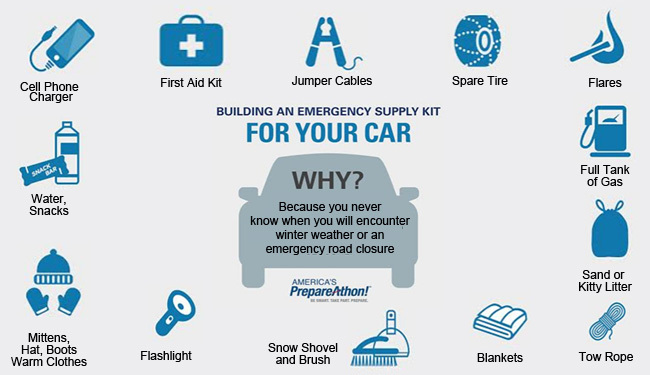 If you do hit the road be prepared in case you get stuck by having a winter weather kit in your car. I traveled for years with a lot of “just in case” stuff in my car, considering that I drove in many blizzards for work. I never got stranded (a result of a mix of skill and luck) but it was always good to have that peace of mind with that bag of stuff sitting behind the seat. I may have never been a Boy Scout but think the motto of always being prepared is a good one. We hope you have safe travels all year round.